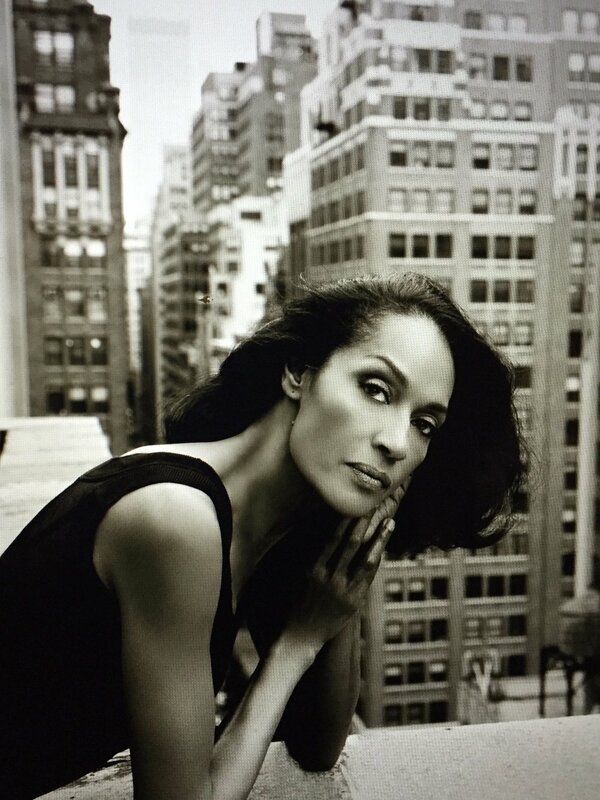 I had the lovely opportunity of sitting down with Wilhelmina model Patricia “Pat” Tracey. Pat has an absolutely contagious personality and is an absolute pleasure to speak with. We discussed what it has been being a huge part of Wilhelmina’s Icon division, here is what she had to say. Brianna: Pat, welcome thank you for being with us today. I’d like to start with how you got started modeling, what was it that took you on this path to fame? Patricia: I got into modeling by following a hunch and some good advice. At the time I was working as a flight attendant on a major US airline and passengers would often say that I should be a model. Not knowing anything about the business or where to begin, but definitely intrigued, I followed the advice of a colleague and asked the help of the very next person who suggested I model. As fate would have it that woman’s son in law was a photographer and so my first photo shoot was arranged. I was bitten by the bug. From there it was a whirlwind of presenting myself to agencies—I was not ready—doing additional photo shoots, meeting photographers, stylists, make up artists and immersing myself into the business. Before long I decided that I would take a chance and jump in with both feet. I went to Europe where the runways of top designers offered an unparalleled opportunity to build the careers of African American models. Brianna: How cool, I think it’s amazing how you started as a regular-everyday type of person and by your own design you made yourself into a successful model. Now, let’s talk about the specific division of Wilhelmina you are a part of which is the Icons Division. What was that process like and can you talk about the aspects of that specific division that are different from the others? Patricia: For the bulk of my modeling career I was represented by Wilhelmina NY but then took a break of several years from the business. Just over a year ago Wilhelmina opened the Icons division as mature models are now very much in demand. Lucky me, my old booker invited me in for a visit and then offered to represent me again. That however, is not the only way to get into modeling at any age—I have several friends who in their 40’s and 50’s have launched successful careers by following the same route as younger models: study the market, do photographs that mirror those in publications. Another great way is to submit your images to agents and secure interviews with agents or go to open call at agencies. Brianna: Very interesting, those all sound like great tips and I really appreciate that you pointed out how modeling doesn’t end after someone turns twenty five, it is all about the individual and what they bring to the table. Now, you have a great personal style, can you describe it in a few sentences? Patricia: Thanks for the compliment regarding my personal style. I shop comfort and practicality first. it is my firm belief that you can not be stylish in ill fitting or uncomfortable clothes or shoes no matter the price. Style is about ease and confidence and definitely a little fun. Brianna: I agree, comfort is the key to feeling and looking your best. You have done and accomplished a lot in your years of modeling, what would you say is your favorite part about modeling, do you have any interesting stories? Patricia: My favorite aspect of modeling is the travel. I love to travel and have used modeling to see the world: Europe, Japan, Australia, Caribbean islands especially, among others. I guess one of my funniest stories happened in Tokyo, I was mobbed by a group of giggling Japanese school girls who insisted that i was Dianna Ross and shoved a pen and paper at me for autographs. They refused to let me go until I signed ‘Dianna Ross’—they wouldn’t settle for anything else. Another time was when I was doing a swimsuit catalogue in the Sahara desert outside a small town in the south of Tunisia, we were surprised to find that our picnic lunch was camel sandwiches— it was the horror of horrors. No one ate them. Brianna: I am dying, that is too funny. You do resemble Diana Ross, you both have beautiful bone structures and a classy elegance. Now, I have a question about who some of the designers you have worked with in the past are: what it was like working with them? 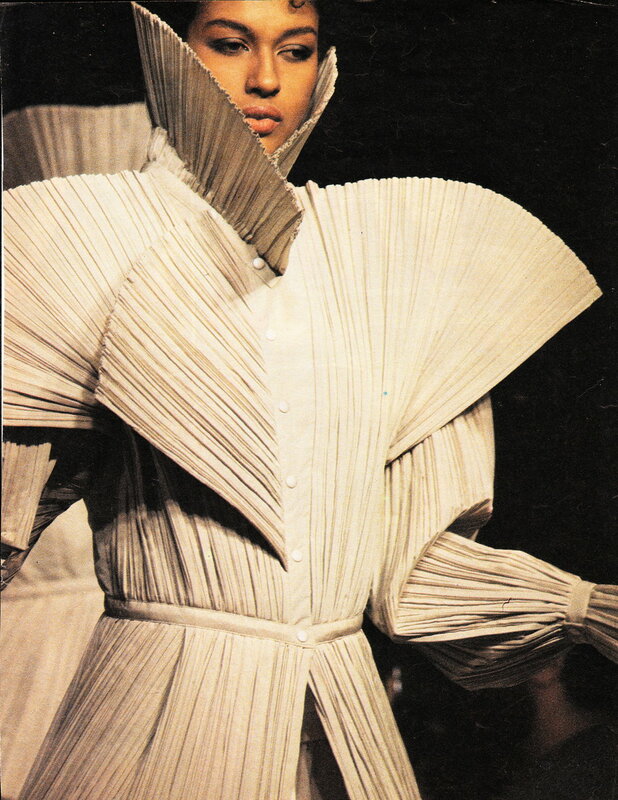 Patricia: I've worked with many of the European and Japanese designers: Ferre, Fendi, Yves St Laurant, Issey Miyaki, Kansi Yamamoto, to name a few. My career was launched by the wonderful photographer Peter Lindbergh in Paris with a shoot for Italian Vogue wearing the unique designs of Issay Miyaki. Brianna: Wow, your resume is quite impressive. I happen to be a huge fan of Fendi and YSL myself. I am sure that working with all of these different designers is fun and it exposes you to many cultures. Tell us, what is it like going on the go-sees for these designers? Patricia: I still go on go-sees. These days they are not the ‘cattle calls’ of the past but specific requests from clients who have me on hold for a job and would like to see me before they confirm. No matter what, I still put my best for forward, am on time, and look the part. If I don’t know the client/company I google them so I know the image they need. Brianna: I think that is wonderful advice especially for young girls who look up to you and are seeking advice on their first go-see. You started modeling at a young age and are still heavily envolved in the industry which I think is a wonderful thing. Something that I noticed in a lot of your pictures is that you wear the clothes really well—you appear very confident in them. Fashion and art are referenced together frequently—a lot of the clothing you have modeled looks like art—what is your take on art in fashion, do you feel the two are related? Patricia: Fashion is wearable art. There are several well-known fashion designers who were architects, Tom Ford and Thierry Mugler among others. Roberto Cavalli paints all of the fabric designs for his collections. There is a direct link between art and fashion. Fashion is color, texture, light and shade, fluidity and rigidity, form and function. It is a world of fantasy and imagination. Brianna: I agree with you on all of that and I like how you made specific reference to Tom Ford, his work in the fashion industry has created so many things such as his designs for Gucci. I think that all of that goes to show just how closely linked art and fashion are. Pat, I have one final question for you and that is what would you be doing right now if you weren’t a model? Patricia: If I weren’t a model I’d be a photographer. During the years that I took off from modeling I traveled extensively mostly throughout Africa and wrote a travel blog with photos as I went. Travel is interesting, enriching and definitely the best education. It would all amount to nothing if I couldn’t help people along the way, whether it's with an uplifting story, a pair of shoes or a laugh or two. Here in NY I also photograph and coach new models and young women entering beauty pageants. I know the business well so why not give a helping hand. Brianna: Beautifully said. I love that you are so willing to help other models who are starting out. I wish you all of the best, Pat and look forward to seeing your future endeavors.